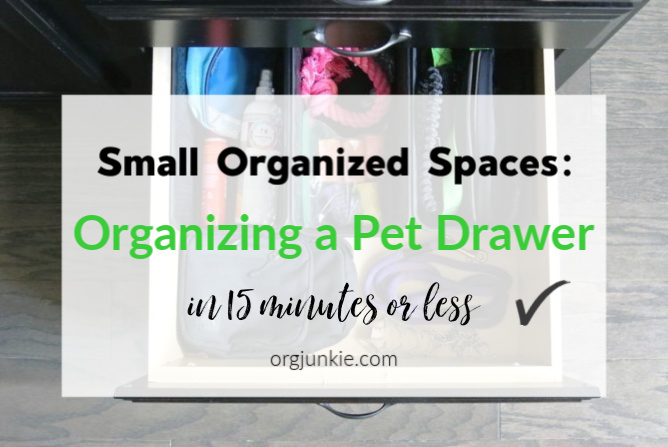 The following is a guest post, in the small organized spaces series, about organizing a pet drawer in 15 minutes or less from regular contributor, Morgan from Morganize with Me. The question of the month seems to be, “Are you watching the Marie Kondo show?” Although most of the people who have asked me don’t quite get the name right. They call it the tidying show, the Netflix organizing series, or my favorite, the Kondo-ing thing. I binged watched it, while also multitasking (insert cleaning and cooking), and really enjoyed it. One, because it’s what I get to do for a job! And two, because Marie is ADORABLE! I read her book several years ago and it was fun to put a personality to a face and name. Yes I’ve watched it and yes I like it. BUT…I want to also put some more reality back into “Reality Television” for you. The program is showing you some great before and afters, because let’s face it, we all love seeing transformations! It’s the Ooo and the Ahhh factor that hooks us. However, what the cameras aren’t capturing (as well) is the sheer number of hours the homeowners are having to spend to declutter, organize, and tidy. And yes, I do realize that no one would want to actually watch the total number of hours someone has to spend to go through a mountain high pile of clothes or a stuffed to the brim garage. So to this I say thank you to Netflix for quality editing! But to this I also say that it’s important to realize that editing your stuff takes time (and usually more time than you might think). Editing your stuff requires not only time but also motivation and lots of energy. 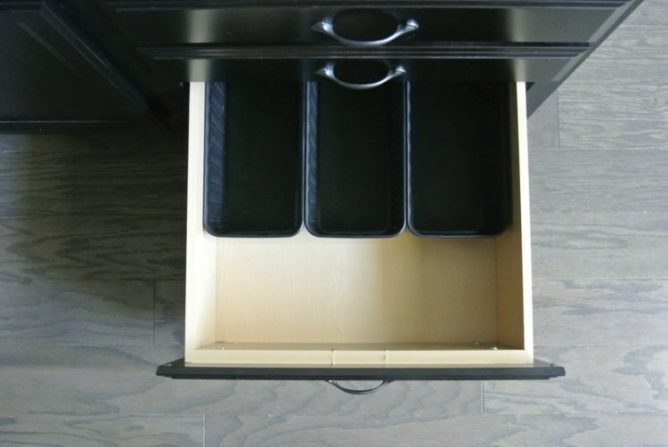 So, if you’ve been bitten by the Kondo-ing bug then I want to suggest that you work space by space and section by section. Most importantly, being realistic about the amount of time that sorting through your stuff will actually take you. Organizing is a process and an ongoing process at that. It takes effort to set up a system and often more of an effort to maintain it! I’m going to provide you with a tangible example of a good before and after. 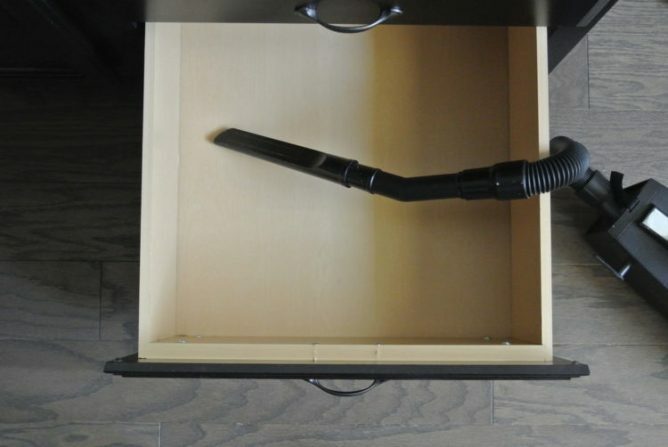 You can use this as a model, as you work room by room or cupboard by cupboard, or in this case, drawer by drawer. The more you break down your organizing into manageable chunks, the more you’ll be able to chunk away at it (see what I did there?). 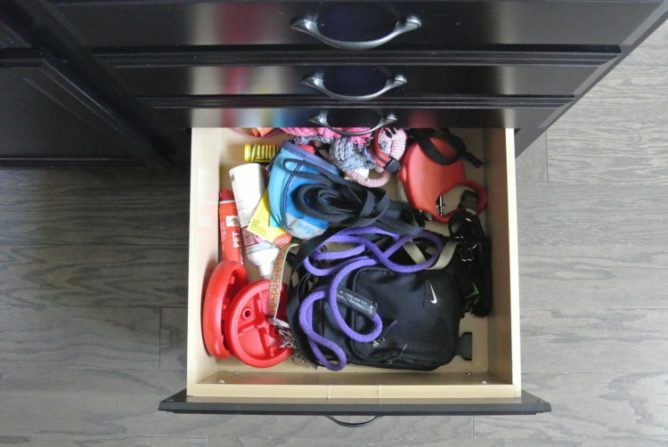 Above is our pet drawer before I did a 10 minute organizing reboot. We have one high energy dog, one needy cat, and one chilled out cat. Other than their food and water supplies, that are kept in the pantry, and a few toys in a basket in our office, this is all of their stuff. Please note…this is the number one organizing rule: keep like with like! Here are the five organizing steps to work through as you edit and organize. Step Three: Add containment if necessary. 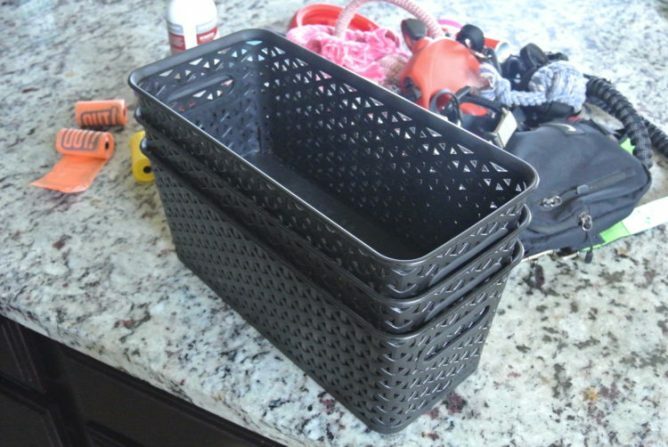 These three bins are from Target and because I measured the drawer before I went shopping, I was able to get the right fit the first time. Love that! Step Four: Edit, sort, and create sub categories (if needed). Step Five: Set things up in an organized fashion. 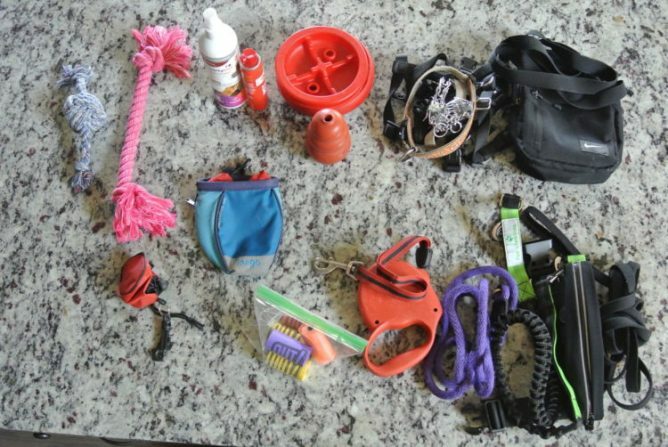 From left to right: pet training tools, toys & bags, extra leashes & collars. 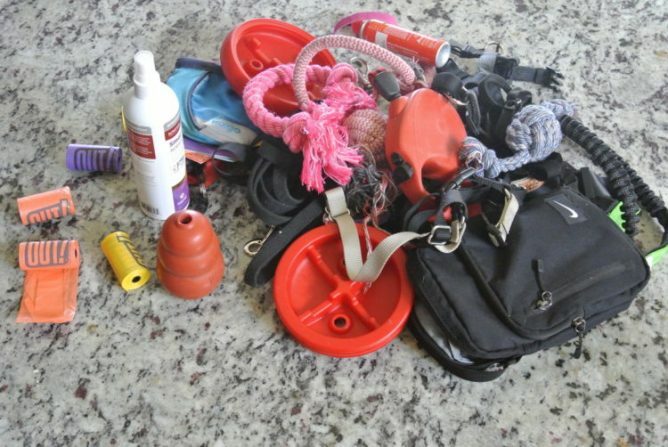 In the front of the drawer is the bag we use for daily walks along with our dog’s everyday (walking) collar and leash. 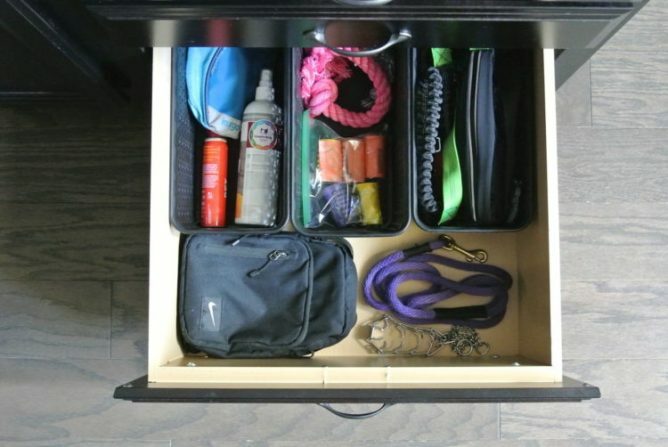 This is an example of a 10-15 minute organizing project. One that can be done start to finish, in a short amount of time. Before you tackle a space, carefully consider the time it will take you and make sure to match your available time with the time required. Keeping the reality in mind will help you to achieve realistic results (even without a camera crew showing up to film!). Happy tidying, Kondo-ing, organizing, or whatever you like to call it! Morgan is the energetic and motivated, but also realistic girl, behind Morganize with Me. She is a chaos calmer, list lover, and exercise enthusiast! Her mission is to share tried and true techniques that she hopes will encourage her readers and clients as they focus on their health and homes. Join one of her Challenges and be sure to check out her Shop full of fabulous organizing printables!